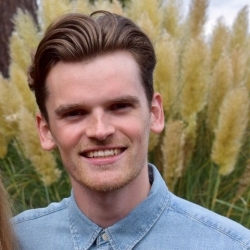 Jim joined Mokoro as Research and Consultancies Assistant in November 2015 and became Research Officer in 2018. Jim provides assistance to the development and delivery of Mokoro’s research and consultancy activities. He is currently providing research assistance to a multi-country strategic research project in support of women’s land rights (WOLTS) where inputs include literature reviews, coordinating logistical plans and fieldwork in Tanzania. Jim has experience of providing research support to large, complex multi-country and country programme evaluations such as WFP Kenya’s Asset Creation Programme, the evaluation of 11th European Development Fund (EU), Africa’s Public Expenditure on Adaptation (UNDP) and UNICEF Tanzania’s Bringing Nutrition to Scale. Jim completed an MA in environment and development, which included carrying out field research in Rwanda to analyse renewable energy as a driver of grassroots development.